Thirty-five restaurants selling popular dishes and snacks were found to have used opium poppies as a seasoning, China's top food safety regulator said on Thursday. 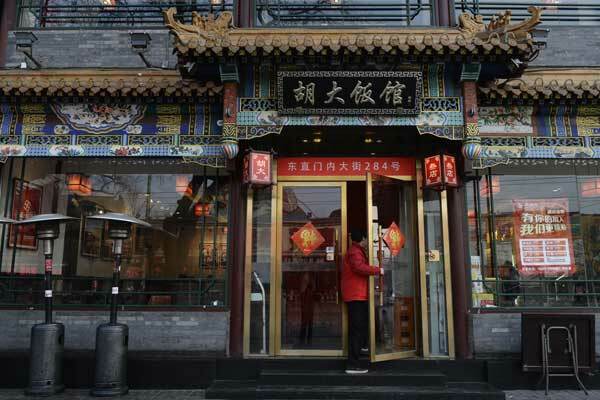 Owners of 25 of the restaurants have been transferred to public security departments for criminal investigation, the China Food and Drug Administration said. The other 10 are under investigation by the administration. The restaurants include some that are locally famous, including Huda Restaurant in Beijing, which specializes in spicy crayfish. Adding opium poppies to dishes violates China's Food Safety Law, which forbids businesses to sell food made with nonfood materials or chemicals, except for food additives. Violations could result in fines or criminal penalties, according to the law. The administration called on local food and drug authorities to punish those involved and to cooperate with public security departments to find the sources of the poppies. It also required food and drug authorities to intensify supervision and inspection of restaurants that sell food such as hotpots, fried chicken and noodles. Luo Yunbo, a professor of food safety and nutrition at China Agricultural University, said opium is a drug and causes addiction and serious harm to health if overused, and it is banned from use in food in China, although it is allowed in some countries. "There are so many restaurants in China and it is very difficult to effectively inspect every one of them to ensure they all follow the law," he said. Opium poppies are added to dishes, such as meat soup, to improve the taste in some restaurants, but they can cause addiction, according to media reports. In July 2014, a man, surnamed Qiu, in Shanghai, was arrested for buying poppies and adding them to the crayfish and crab dishes he sold in his restaurants, according to ThePaper.cn. Every part of society, including regulators, the food industry and consumers play a part in improving food safety, Luo said. "Overall food safety is closely linked to the development and education of a nation," he said. "It requires a long period to improve food safety."